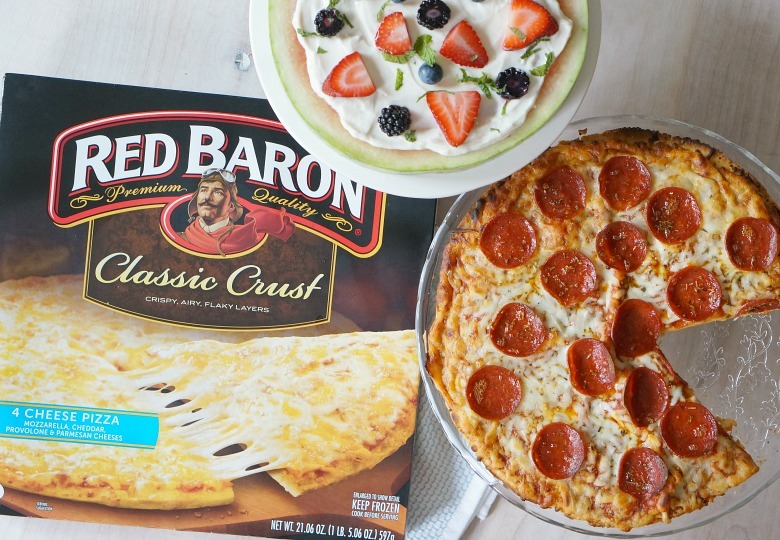 Enjoy family dinners despite the insanity with this fun Family Pizza Night complete with your favorite Red Baron pizza and this so-easy Watermelon Pizza with Yogurt and Berries for dessert! Y’all. This week has put me through the ringer. I’ve seen all of you happy smiling moms on Facebook, but where are your dark circles under your eyes? I’ll confess, I’m strugglin’. Anywho, I stray. I’ve missed the dinner table banter and hearing all the deets about the kids and their daily lives this week. 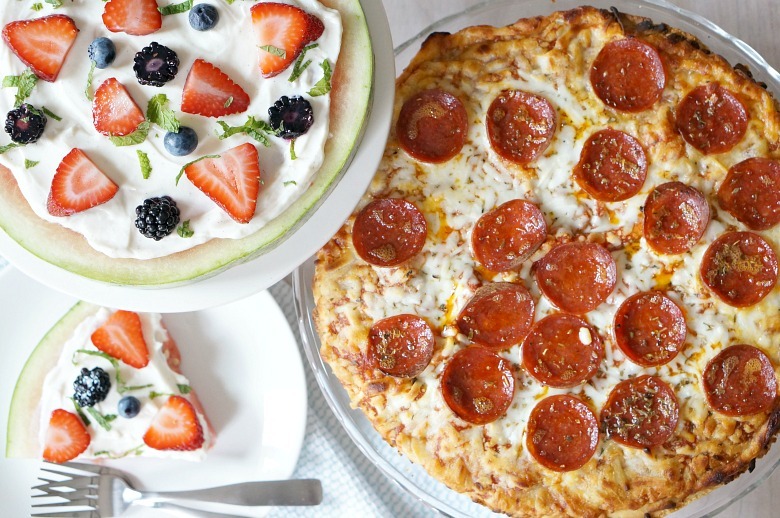 Which means… it’s time for a Family Pizza Night. We may be low on steam over here, but I still have the ability to whip up one amazing Red Baron pizza. I’ll just take my bow now. Don’t miss this awesome personality quiz to discover what your ‘Baroness’ patch is and enter to win the sweepstakes below for awesome prizes! 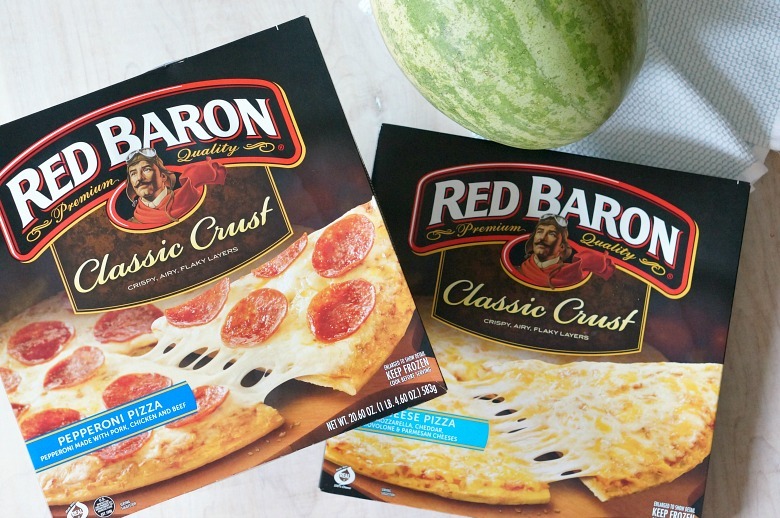 Because I wanted the kids to linger over dinner, I made sure to get their favorites: Red Baron® Classic Crust Pepperoni and 4-Cheese. Yeah, I know. They have good taste, right? My other upgrade to Family Pizza Night? 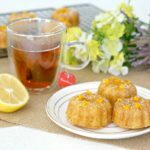 This super-easy and also healthy (say what??) 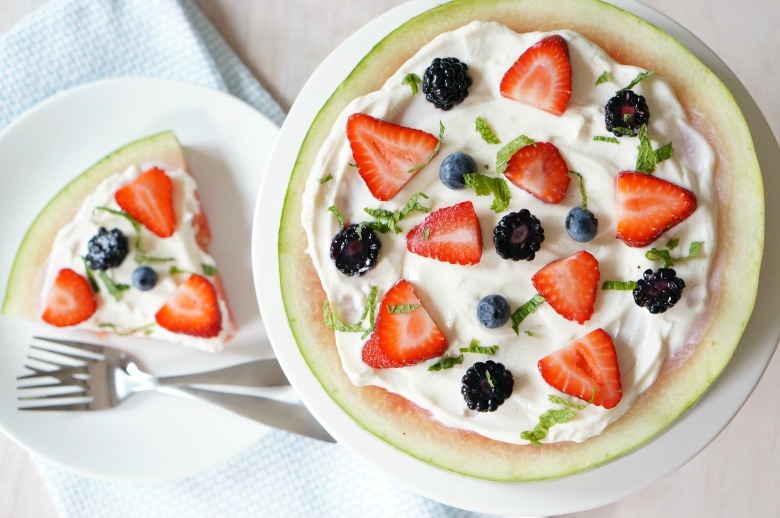 Watermelon Pizza. 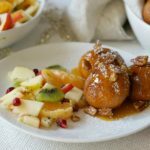 With fresh berries and vanilla Greek yogurt, this easy to assemble dessert or side dish is the perfect complement for this simple yet perfect family dinner. 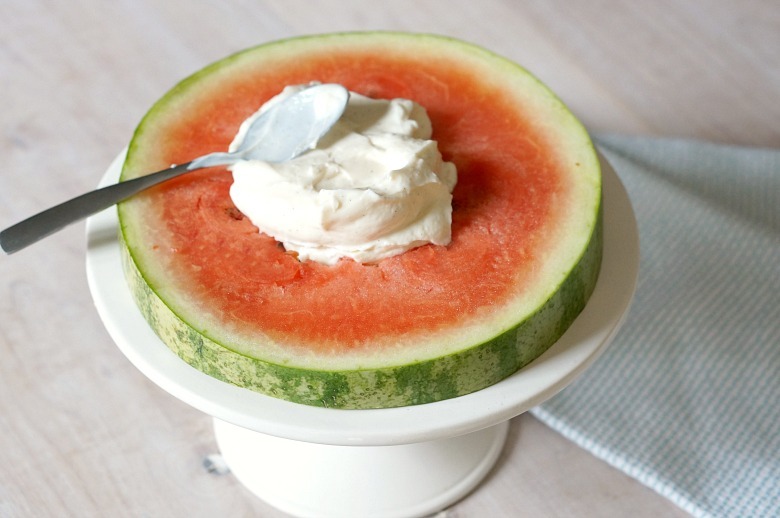 Slice the watermelon in large rounds, saving the biggest pieces for your watermelon pizzas. 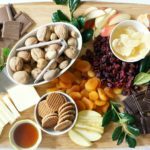 Cut up the leftovers and stash them away for school snacks! Next up, slice in-season berries. 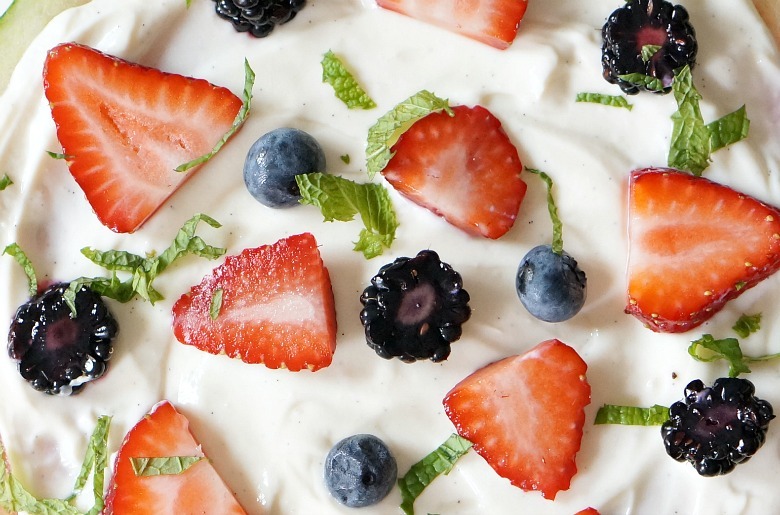 We’re equal opportunity berry-lovers over here, so we used strawberries, blackberries and blueberries. 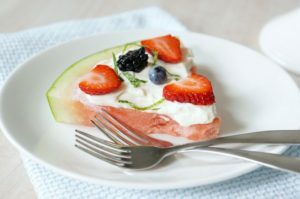 Enjoy family dinners despite the insanity with this fun Family Pizza Night complete with your favorite pizza and this so-easy Watermelon Pizza with Yogurt and Berries for dessert! Next up, slice in-season berries. We're equal opportunity berry-lovers over here, so we used strawberries, blackberries and blueberries. Chiffonade (thinly slice) some fresh mint on top, if you like, for a little touch of "fancy!" 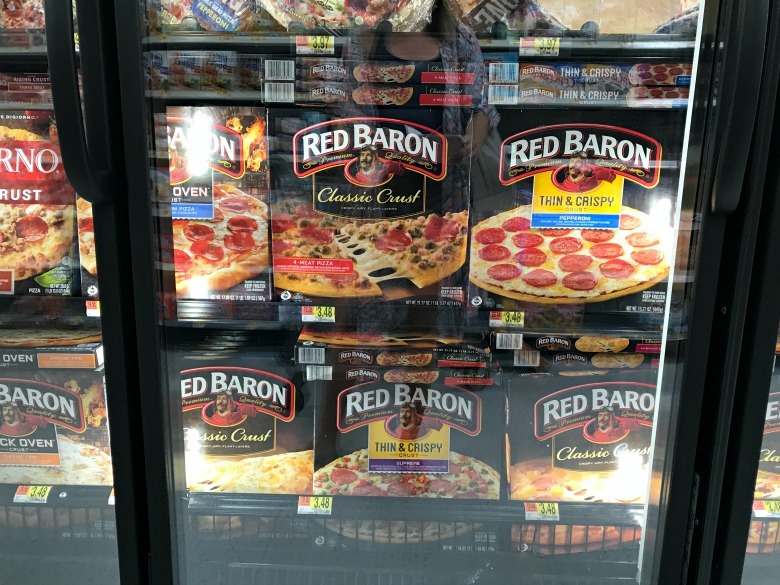 Find your favorite Red Baron pizza and all of the other ingredients featured in this recipe at Walmart. Be sure to grab this ibotta offer for savings on your Red Baron purchases. Get more busy-night inspiration here. Here are a few other awesome and easy dessert ideas: we love this No-Bake Whopper’s Pie and who can say no to these decadent Oreo Cream Cheese Brownies?